Jenny Diski's first novel, Nothing Natural, was published in 1986 (reissued 2003). Subsequent novels include Rainforest (1987); Then Again (1990); Happily Ever After (1991); and The Dream Mistress (1996). She published a volume of autobiography, Skating to Antarctica, in 1997, which was shortlisted for the Jewish Quarterly Literary Prize for Non-Fiction. 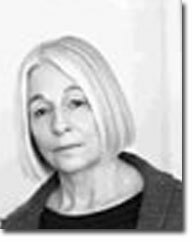 Jenny Diski is also the author of two television plays, A Fair and Easy Passage and The Ultimate Object of Desire. A travelogue narrating a railway journey around the United States, Stranger on a Train: Daydreaming and Smoking around America with Interruptions (2002), was the winner of the 2003 Thomas Cook Travel Book Award. Her latest work is a book of non-fiction, On Trying to Keep Still.